Pour one 5 gr. sachet into the applicator and fill it up with 150 ml. of cold water. 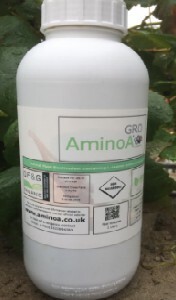 Apply spray cap and shake applicator to ensure AminoA Plus is fully dissolved in water. Apply in general when the crop is most active: at transplanting, flowering, formation and ripening of fruit. It is also advisable to apply in stressful situations for whatever reason. Spray liberally seeds prior to planting, roots of transplants or foliage of growing plants. Repeat every 7 days for best results. 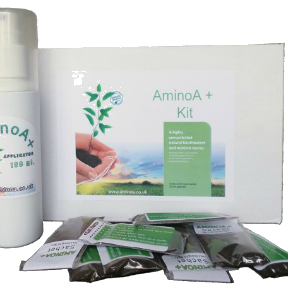 AminoA Plus mixture should be used within 24 hours of activation. Surplus mixture can be safely discarded on any garden areas. Clean applicator after use by flushing with clean water and dry throughly.